Two complex, intertwined questlines that revolve around the NPCs Anri of Astora, Yuria of Londor and Yoel of Londor. Meet Anri of Astora on the Road of Sacrifices at the Halfway Fortress bonfire. After the Deacons of the Deep boss fight, talk to Anri in the Firelink Shrine, he/she will mention that their next destination is Irithyll of the Boreal Valley. Talk to him/her in the Catacombs of Carthus, in an optional hallway just before the stairs with the first Boulder o' Bones. He/she hast lost Horace in the tomb. Before the wooden bridge leading to the High Lord Wolnir boss fight, Anri can be found if you follow the cave path to the right of the bridge. Anri will ask you whether or not you have found Horace. If the player tells about Horace without killing him, Anri will later be found in the Smouldering Lake in his place, having killed Horace and gone hollow. If the player kills Horace right after telling Anri where he is, Anri will not go hollow. He/she will leave a grave to Horace where he died and the questline will continue. If the player has not seen Horace or just decides to lie, Anri will wonder if Horace has abandoned them, and the quest will continue. Talk to Anri in the Church of Yorshka in Irithyll of the Boreal Valley. Within the church will be a pilgrim disguised as a statue in the corner regardless of the player being on the Lord of Hollows questline or not. If you fail to kill the pilgrim, Step 6 and 7 does not happen, instead you'll find the corpse of the pilgrim behind the illusory wall in Gwyn's Tomb, and Anri dead on the altar, with Anri's Sword in him/her. Don't forget to talk to Yuria enough that she says your spouse is ready to find him/her there. 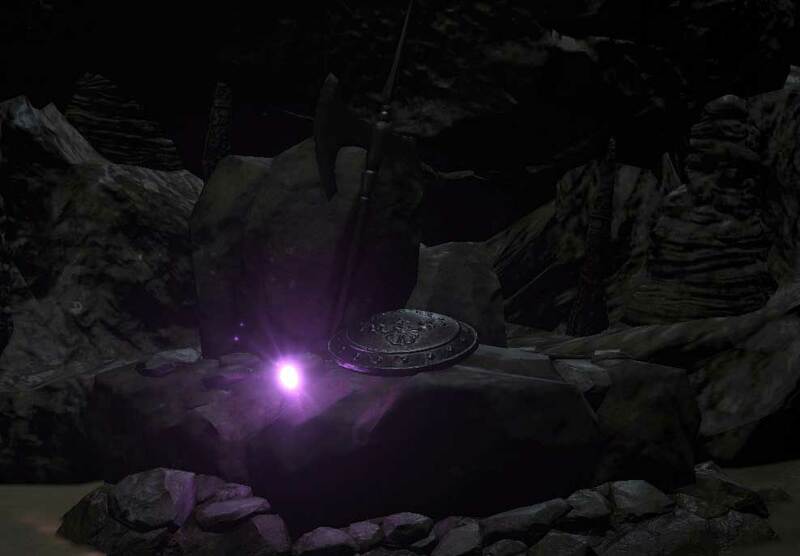 Anri's summon sign can be found in Anor Londo outside the double doors next to a prism stone, which will summon you to Anri's world to help them defeat Aldrich, Devourer of Gods. Ludleth of Courland will give you Anri's Straight Sword after. … near the grave he/she left to Horace in the Smouldering Lake. Meet Yoel of Londor right before the entrance to the Undead Settlement and accept his service so he teleports to the Firelink Shrine. "Draw out True Strength" with Yoel, to receive five Dark Sigils to trigger the appearance of Yuria of Londor in the Firelink Shrine. Follow Anri of Astora's Questline as usual, but make sure you stop to take these extra steps in order to unlock the Lord of Hollows ending. After talking with Anri in the Catacombs you must speak with Yuria in the Firelink Shrine. 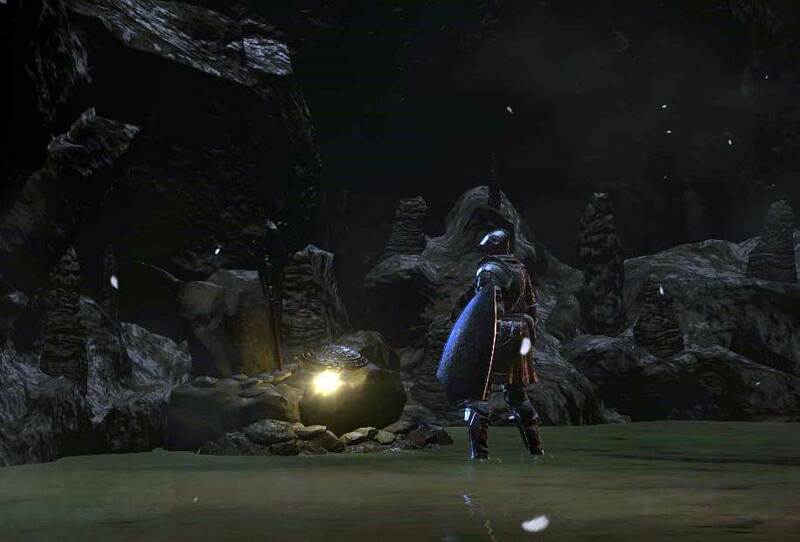 After killing Pontiff Sulyvahn and exhausting all dialogue with Yuria, Anri can be found in the Darkmoon chamber in Anor Londo. Before heading in, speak to the Pilgrim outside who will briefly explain the ceremony. Talk to Yuria in the Firelink Shrine. From here, you can carry on to obtain the Lord of Hollows ending. If you have failed to either save them from Horace or the assassin in the church, a pilgrim can be found just outside Darkmoon Tomb, and only Anri's lifeless body will be waiting inside. If this occurs, you will have to attempt this ending in NG+. If you come back to Darkmoon Tomb after refreshing the area with a bonfire, you will find the pilgrim dead and can pillage the Chameleon sorcery from his body. You can also loot Anri's Straight Sword from the altar. Upon refreshing the area again, Anri's body will be gone. During the Usurpation of the Fire ending, Anri can be seen on the right among the rest of the hollows. If bought the Elite Knight Set from the Shrine Handmaid, Anri will be naked for she/he has nothing to wear, otherwise he/she will be wearing the Elite Knight set. To obtain the Usurpation of Fire (Lord of Hollows) ending, DO NOT summon the Firekeeper after the final fight. Light the bonfire alone. Even if you have completed Anri/Yuria's questlines to this point and are holding the eight Dark Sigils you will revert to the End of Fire cutscene regardless of your choice to either betray or allow the Firekeeper to live. Gives the player the Siegbrau as well as the Toast, Sleep, and Rejoice Gestures. Always exhaust the dialogue of Siegward to ensure he moves onto each stage of his storyline! Speak to him in the Undead Settlement, he will be coming up on the elevator in the tower that has the arrow shoting Giant atop. Speak to him again outside of the tower, he will be sitting on ledge, you can jump down onto from the elevator, overlooking a Demon. Drop down and defeat the Demon to receive his praise and admiration. He will give you a Siegbrau and teach you the Toast and the Sleep Gestures. After you open the great doors to the courtyard of the Cathedral of the Deep, he will appear in a well just outside of the Cleansing Chapel. Exhaust his dialogue. Another option is to kill Patches while he is pretending to be Siegward and BEFORE he springs his trap on the walkway. Also, you can then cross the walkway without needed to reach the rafters. This will preclude Patches becoming a merchant, but he will drop the Catarina Set on death. Give the armor to Siegward in the well. He will teach you the Rejoice gesture. Head to Irithyll of the Boreal Valley, progress through a small sewer near to the lake next to the Distant Manor bonfire. He will be found resting near a fireplace. He will teach you the Toast and the Sleep Gestures here if you didn't learn them earlier, as well as the Emit Force miracle. To free Siegward, retrieve the Old Cell Key and head to the Profaned Capital bonfire and reach the roof of the blue-peaked house found within a cave. Head towards the stairs to an open window in the wall. Jump off the roof through the window and continue forward to reach Siegward's cell. Free him to receive a Titanite Slab. Now, if you fight Yhorm the Giant, Siegward will enter alongside you with his very own Storm Ruler, making the fight much easier. Once Yhorm has been defeated, Siegward will leave behind 1,000 souls, his Catarina Set, Pierce Shield, and Storm Ruler. A recurring character from the original Dark Souls, Siegmeyer of Catarina, a knight who is always found "in a pickle" multiple times throughout the game and rewards the player for helping them. They share a face, voice, armour, equipment, country of origin, personality and a similarity in name. Proceeding into Irithyll Dungeon without meeting Siegward by the fireplace will place him in the cell and Titanite Slab will still be awarded after he is freed, but he will not appear in the fight against Yhorm the Giant. It seems to be a bug and Siegward has to be killed if you desire his armor. A thief from the High Wall of Lothric, who will scavenge for you and update his stock… should you see to his safety. Initially found locked in a cell right below the Tower on the Wall bonfire in the High Wall of Lothric. The key to free him can be found in a room with exploding barrels and several Large Hollow Soldiers and Starved Hounds. It is located below the roof where you fought the Pus of Man. Upon being freed, he asks the player to hand over the Blue Tearstone Ring to a woman named Loretta, then relocates to the Firelink Shrine. You can find the corpse of Loretta (and an item named Loretta´s Bone) hanging from a balcony in Undead Settlement where several hollows worship a tree. Upon handing over the bone to him, you complete his quest. As reward you can keep the ring and use him as a merchant from now on. After this, you can send him on three scavenging runs, which update his stock. He will return after defeating any boss. He will ask if he should scavenge in Irithyll of the Boreal Valley. If you have saved Siegward of Catarina from the well in the Cathedral of the Deep by giving him back his armor, he will save Greirat, who will return to Firelink Shrine after killing any one boss. If you do not free Siegward, Greirat will perish and his ashes can be found in the sewers near the manor. Alternative way: If Siegward is stuck in the Cathedral of the Deep well next to the Cleansing Chapel bonfire, you can actually get Unbreakable Patches to save him instead. Do not buy Siegward of Catarina's armor off of Patches . Play the game up to Irithyll of the Boreal Valley, send Greirat to pillage and tell Unbreakable Patches where Greirat went. Don't forget to reload Firelink Shrine once more after informing Unbreakable Patches. Only once he is actually gone from Firelink Shrine will the game consider him to be "Saving Greirat". Defeat Pontiff Sulyvahn and return to Firelink Shrine. He will ask if he should scavenge Lothric Castle. There is no way of saving him if you do. If you do send him, you can find his body on the roof of the Grand Archives, together with Greirat's Ashes. Giving this to the Shrine Handmaid allows her to sell Greirat of the Undead Settlement's items, at his reduced price. Ringfinger Leonhard is a man obsessed with Rosaria, Mother of Rebirth. Always exhaust the dialogues to ensure the storyline continues. Talk to Ringfinger Leonhard right before killing Vordt of the Boreal Valley. Talk to Ringfinger Leonhard after gaining a Pale Tongue to receive Lift Chamber Key. Kill the Darkwraith in the High Wall of Lothric (use key below the Tower on the Wall bonfire). Talk to Ringfinger Leonhard after killing the Darkwraith at High Wall of Lothric. Join the Rosaria's Fingers covenant and give at least one Pale Tongue to Rosaria. Talk to Ringfinger Leonhard at the Rosaria's Bed Chamber bonfire in the Cathedral of the Deep. Reach the Profaned Capital bonfire. Defeat Aldrich, Devourer of Gods. Return to the Rosaria's Bed Chamber bonfire and get the Black Eye Orb from Rosaria's body. Go up the elevator at Aldrich, Devourer of Gods and through the doors. Use the Black Eye Orb and to invade Leonhard's world and kill him. A former servant of Divinity from the Sunless Realms on a quest to fulfill a promise to her grandad. Warning: Equipping the Rosaria's Fingers covenant item or giving either Rosaria, Mother of Rebirth or the altar after the Curse-rotted Greatwood boss any Vertebra Shackles will exclude you from this questline, as Sirris will refuse to talk to you anymore. Light the Halfway Fortress bonfire on the Road of Sacrifices. Speak with Sirris in Firelink Shrine. Obtain the Dreamchaser's Ashes in Farron's Keep near the Old Wolf Of Farron behind an illusory wall, and turn the ashes in to the Shrine Handmaid. Speak with Sirris once more in Firelink Shrine, she will offer her co-operation and give you the Darkmoon gesture. Speak to Sirris again at Firelink Shrine and she will gift you the Silvercat Ring and a blessed Mail Breaker. After killing Aldrich, Devourer of Gods, teleport to the Cliff Underside bonfire in the Undead Settlement, and head to the boss room of the Curse-rotted Greatwood. You will find another summon sign in the antechamber above the chasm which, when used, will again summon you into Sirris's world (In order for this sign to appear you must have killed Curse-rotted Greatwood and have turned in the Transposing Kiln to Ludleth of Courland). Help Sirris kill Holy Knight Hodrick, and when you return to your world you can find Hodrick's Sunset Set in the Pit of Hollows bonfire area, and his Sunset Shield at a grave outside Firelink Shrine, near the hollow looking towards the sunset on the edge of the cliff. Speak to Sirris again at Firelink Shrine and she will swear fealty to you. You can now summon her for various bosses, but it is not required to do so in order to continue her questline. After killing The Twin Princes, you can find Sirris dead outside Firelink Shrine with her Sunless Talisman, on the grave where you found Hodrick's Sunset Shield earlier. You can now purchase her Sunless Set from the Shrine Handmaid. At this point you can safely continue Ringfinger Leonhard's questline. After Sirris swears fealty to you, her summon sign appears before Dragonslayer Armour and The Twin Princes. Her Sunless Set can be purchased from the Shrine Handmaid after completing her quest or killing her. Gives the player the Collapse Gesture. His shield can be found on a grave outside Firelink Shrine after he leaves. Always exhaust the dialogue of Hawkwood to ensure he moves onto each stage of his storyline. Speak to Hawkwood at Firelink Shrine. Speak to him as you continue through the game to receive the Collapse gesture and the Farron Ring. He will disappear after killing the Abyss Watchers. After visiting Archdragon Peak, speak to Blacksmith Andre who tells you to collect 3 Dragon Stones (Dragon Torso Stone, Dragon Head Stone and Twinkling Dragon Torso Stone). Once you have collected the Dragon Stones, head to the Abyss Watchers bonfire in Farron Keep. He will fight you there. If you die to Hawkwood, you will lose the Dragon Stones. Defeating Hawkwood will grant you the Twinkling Dragon Head Stone. Find the Mortician's Ashes near to the arrow-laden area in the Undead Settlement. Give them to the Shrine Handmaid to unlock the Grave Key. Buy it for 1,500 souls. Open the door near to the Cliff Underside bonfire in the Undead Settlement to rescue Irina. She will move to Firelink Shrine.